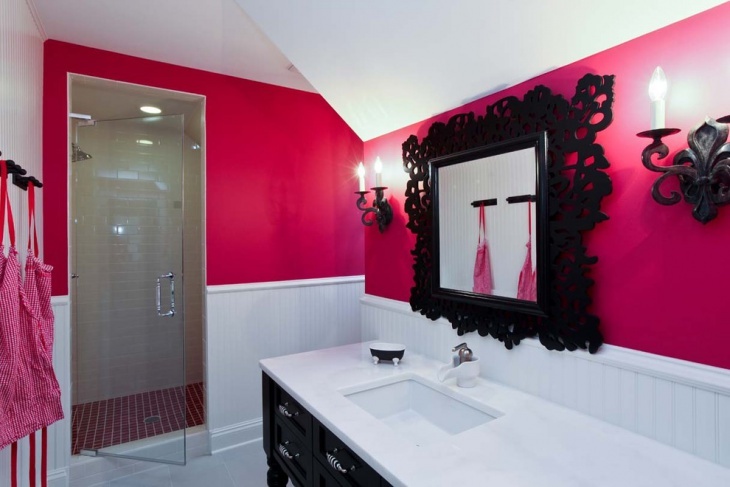 Colour adds fashion, mood and desired ambience. 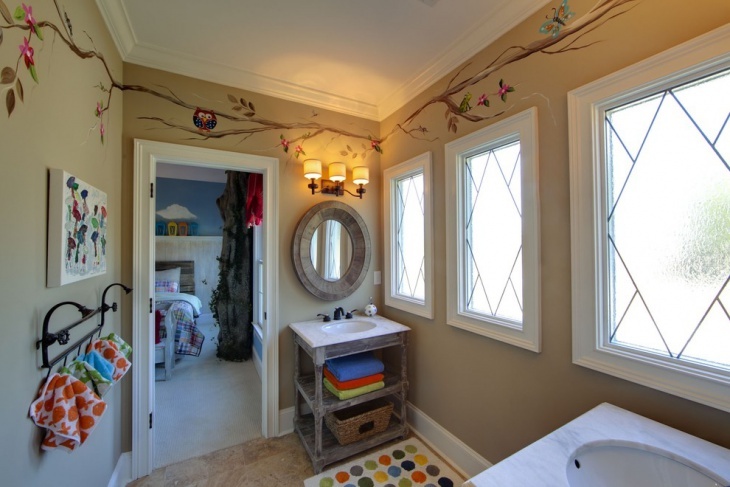 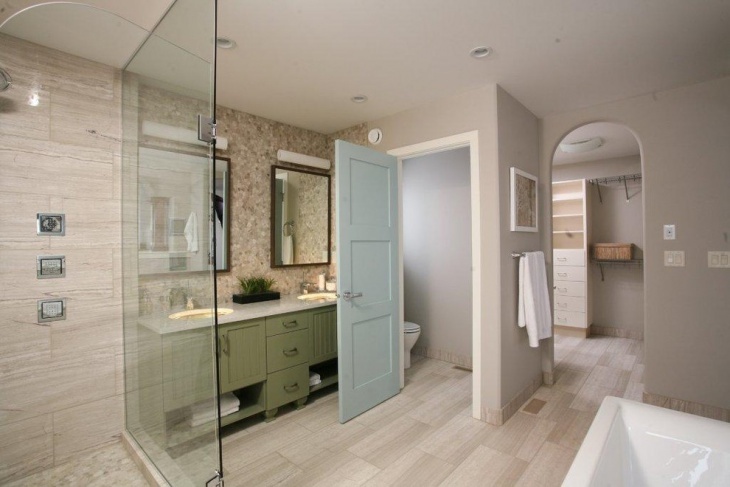 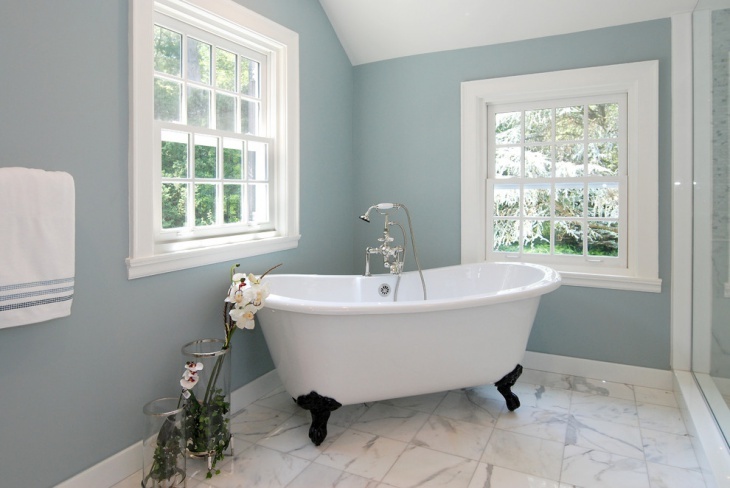 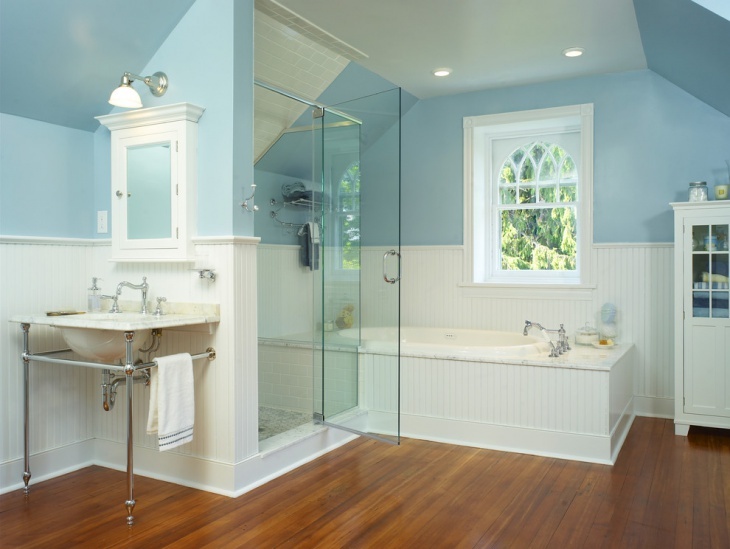 With the right paint design, you can easily create a bathroom style of choice based on your taste. 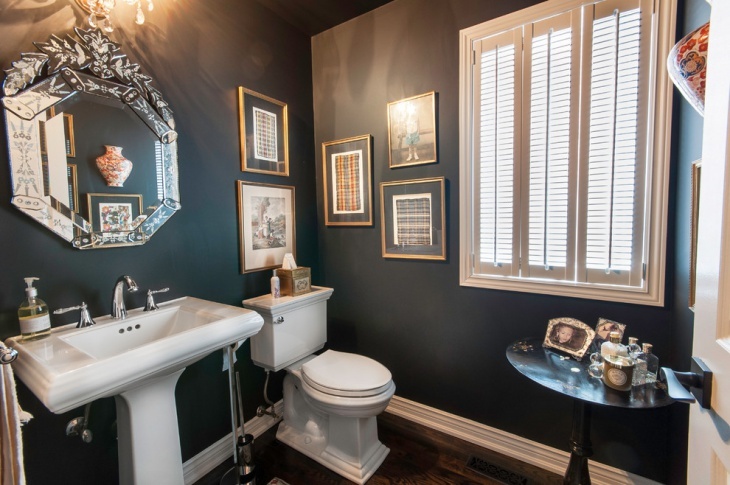 Whether it’s a traditional, modern, timeless or fashionable style, a careful selection of the colour palette will set the desired impression. 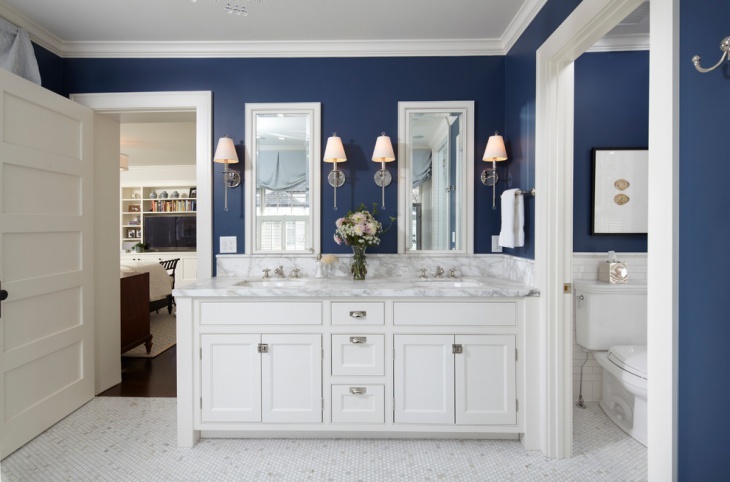 The kind of bathroom paint design that you go for essentially depends on the mood and ambience you want to set in the room. 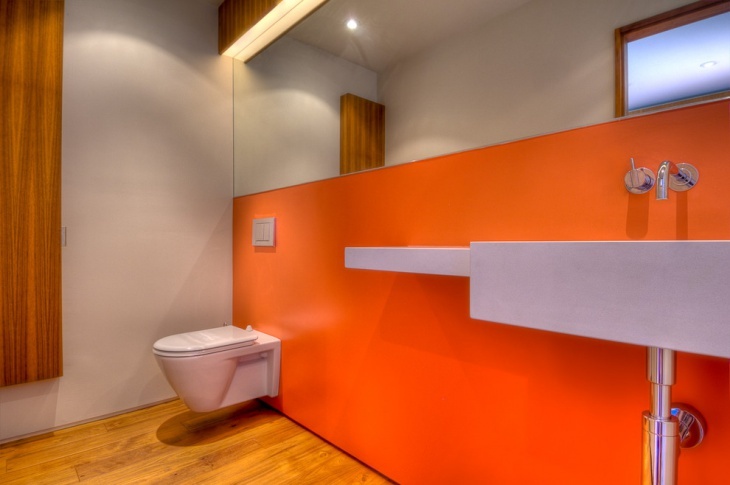 How would you like to feel when in the room? 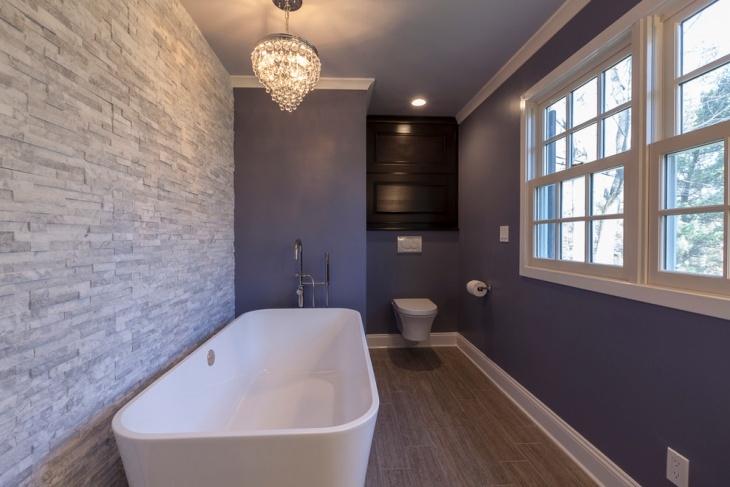 Calm and relaxed? 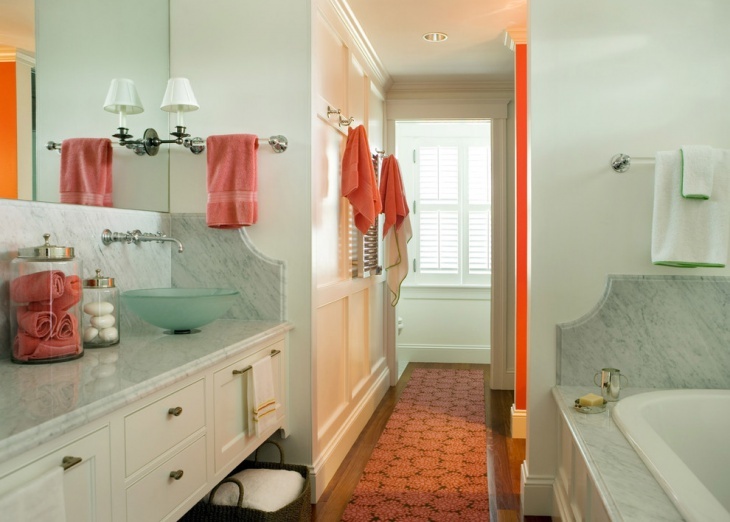 If yes, then cool and soft colour tones can play the trick. 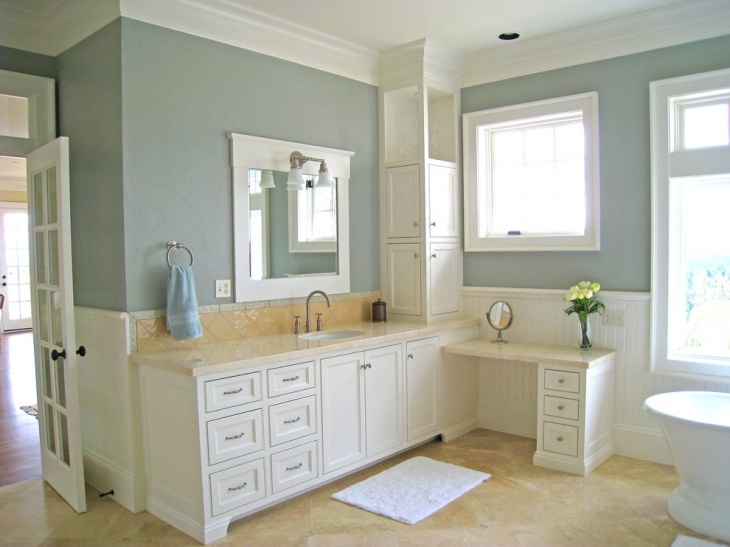 A blend of pale-blue with grey undertones can be quite soothing. 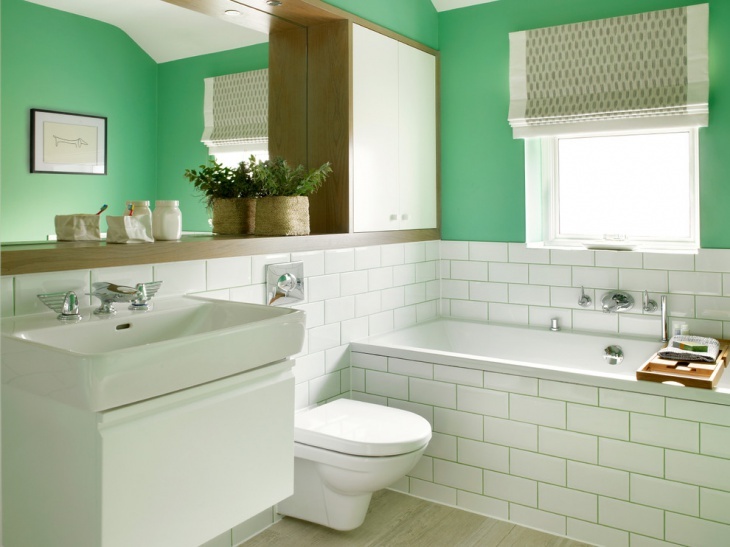 Generally, colours from nature such as green and blue tend to be associated with peace and tranquility. 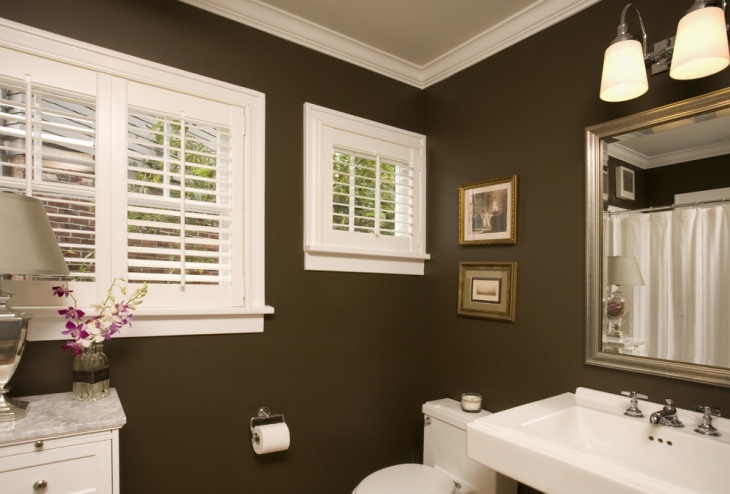 If you’d like to create a cushy, friendly ambience in your bathroom, then rich deep colour tones paint designs will be quite appropriate. 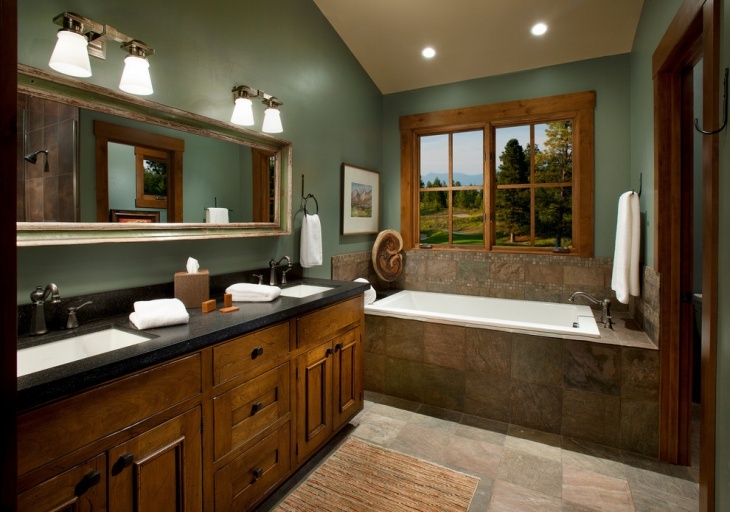 Warm colours including crimson, gold, etc, can enhance the elegance of your bathroom design a great deal. 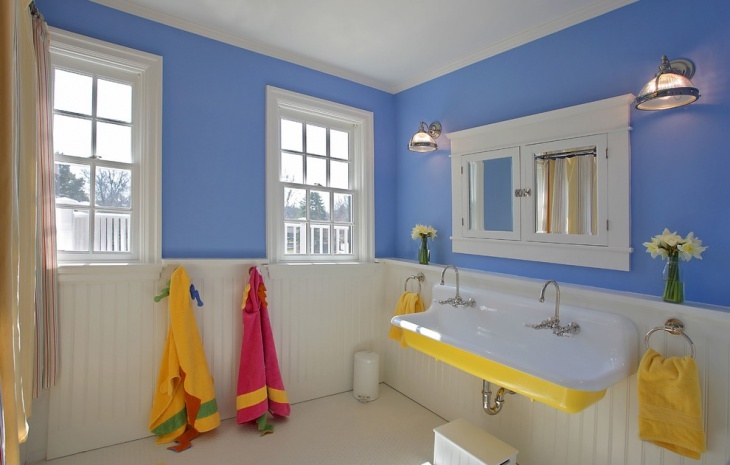 Lively primary colours give your bathroom an invigorating and motivating ambience. 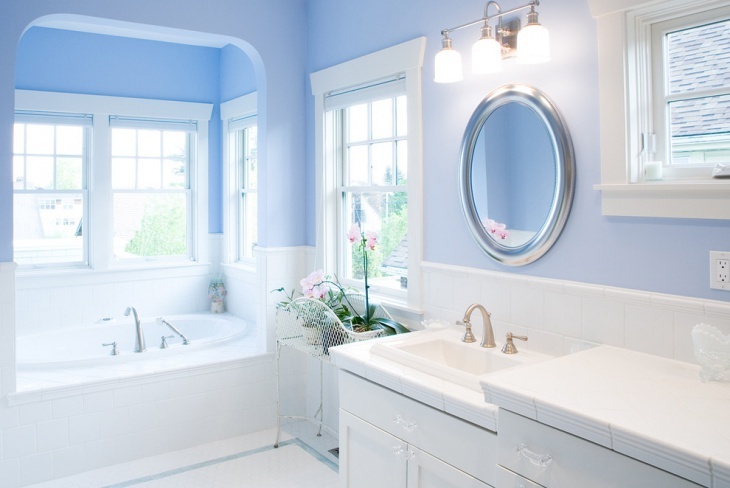 Painting your bathroom red, yellow, blue and captivating hues of these colours can give your room a radiant, positive vibe. 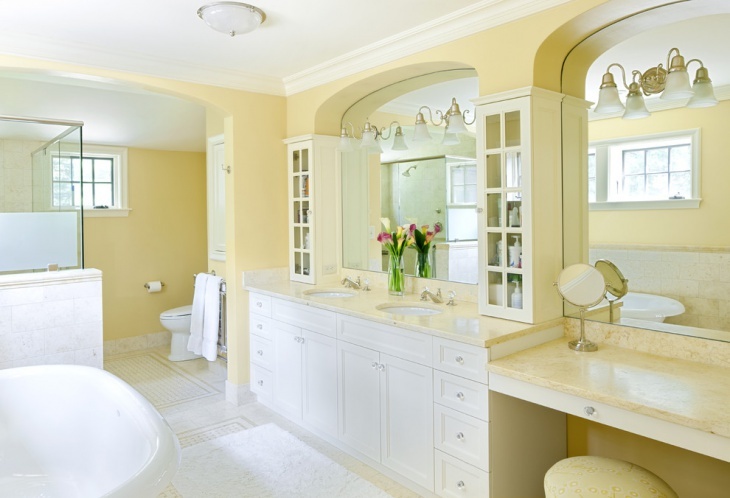 Neutral colours such as cream, brown, etc are ever trendy.